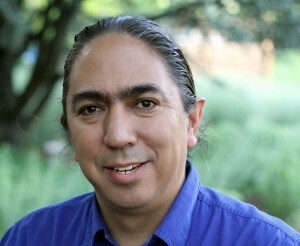 Mark Charles is a dynamic and thought-provoking public speaker, writer, and consultant. The son of an American woman (of Dutch heritage) and a Navajo man, he speaks with insight into the complexities of American history regarding race, culture, and faith in order to help forge a path of healing and conciliation for the nation. Mark serves as the Washington D.C. correspondent and regular columnist for Native News Online and is the author of the popular blog &quot;Reflections from the Hogan.&quot; He serves on the board of the Christian Community Development Association (CCDA) and is a former Board of Trustee member of the Christian Reformed Church of North America (CRCNA). Mark also consults with the Calvin Institute of Christian Worship (CICW), has served as the pastor of the Christian Indian Center in Denver CO and is a founding partner of a national conference for Native students called “Would Jesus Eat Frybread?” (CRU, IVCF and CICW).